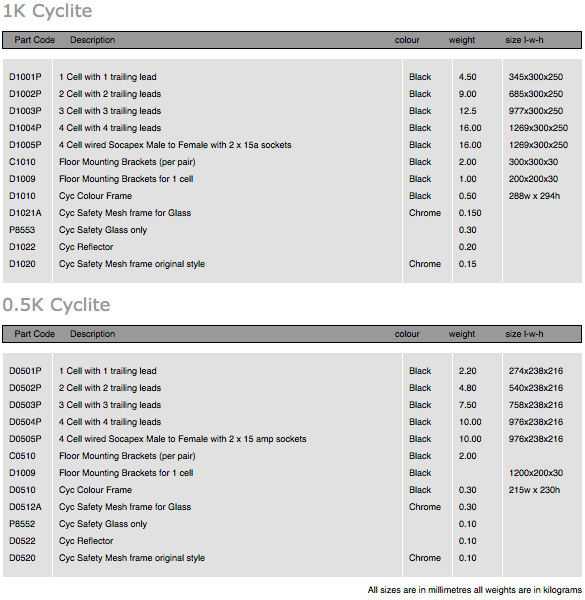 Cyclites can be used floor mounted with the body of the unit having a 30 degree angle floor mount built in or flown. Optionally, floor mounting plates are offered for adjustable angles. 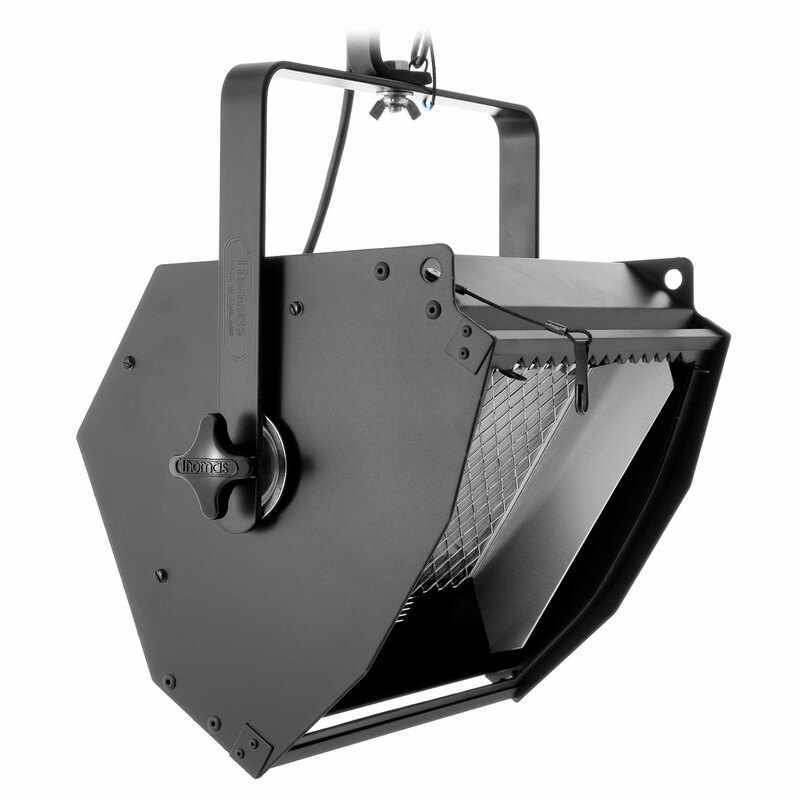 The units also feature adjustable lampholders behind chrome plated safety mesh. Colour gel frames are easily removable and are fitted with a safety bond to the cyclite body. The cyclites all feature ventilation slots in order to prolong bulb and colour gel life.